The ‘wild’ delights and terrifies us, conjuring in one organic breath raw nature in her elemental glory and savage beasts lurking in the wastes awaiting their chance to pounce. But what really is the wild? Is it something we should continue to civilize until it is cast into the history books or might it be something we depend upon a little more each year just to retain our humanity? In this posting I introduce two recent publications which explore the meaning of the wild for us personally and the implications if we do nothing about it. What do we mean by the wild? Why should humans pursue wild-life conservation? If they do, what pathways lead to the wild? What kinds of outcomes result from different conservation strategies? 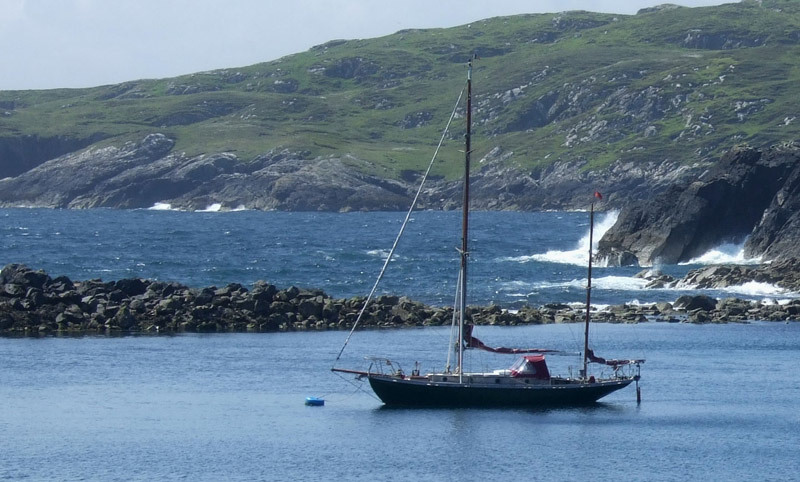 The second is a travel book, A Wild Call, which tells the story of my quest to find an old wooden ketch, sail her to Scotland and make a solo passage to St Kilda beyond the Outer Hebrides. It is a search for personal freedom in my father’s country, the story of a star-crossed relationship and an adventure in a small boat on a big sea. This first advance review captures something of its essence. Whilst assessing the state of protected areas in Ethiopia I became concerned at the number of parks occupied by cattle for large parts of the year, or all year round in some cases. Farming had encroached into several parks, covering up to 80% of the territory, large mammal populations were severely depressed and many species had disappeared entirely. 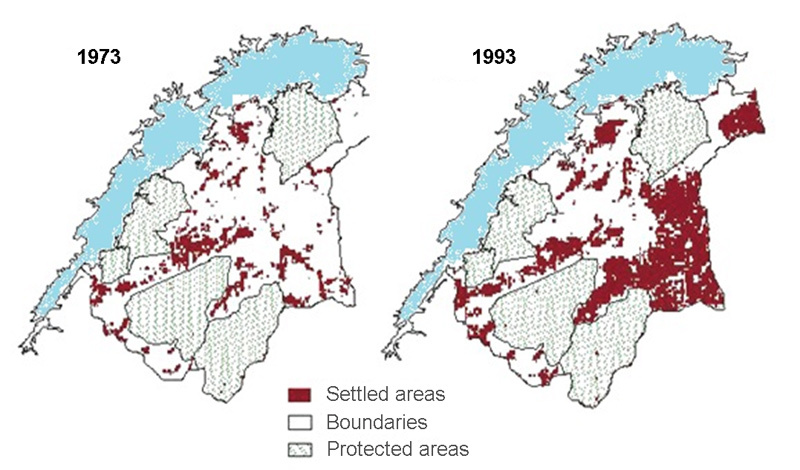 In Zambia, a major reduction in wildlife densities in most protected areas is reported. A colleague has found degraded parks across the entire network of West Africa. 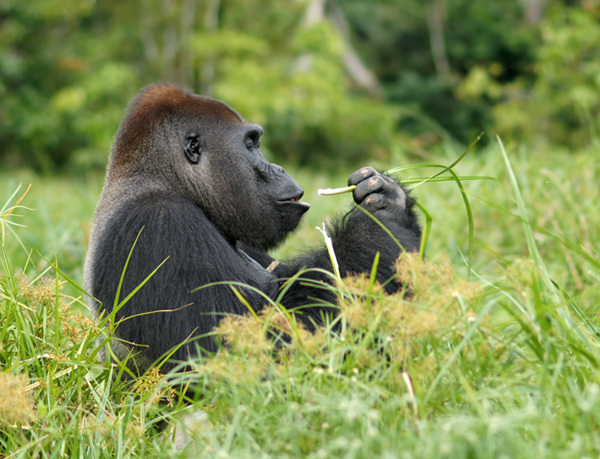 As a result of bushmeat consumption, the ‘empty forests’ of Central Africa are a sad reality. 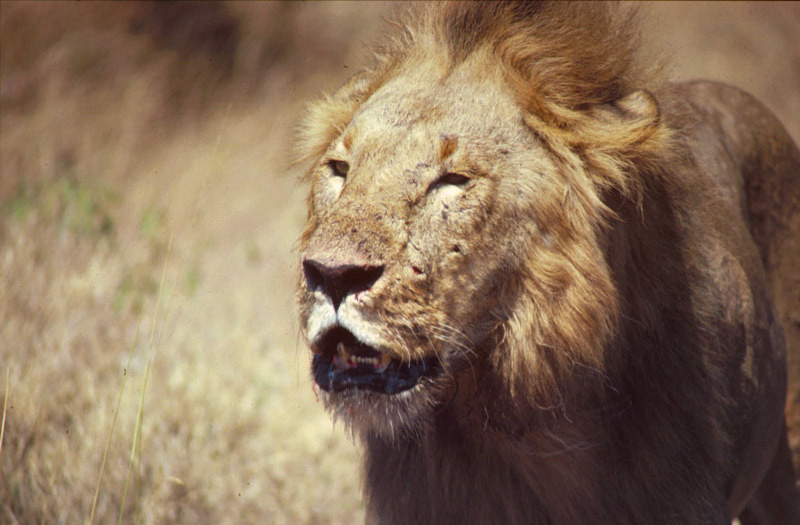 Further information on the status of parks and wildlife in African is featured in my blog: Game Over in Africa? I. Empty Forests, Silent Plains. Globally, only 20–50% of protected areas assessed are found to be effectively managed and some 28.6% of World Heritage Sites are listed as in danger, according to UNESCO. 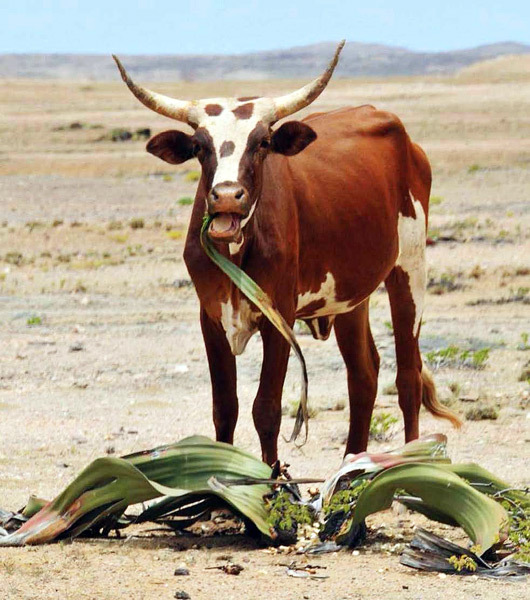 Young bull enjoying the taste of Welwitschia mirabilis in Iona National Park, Angola — the oldest and rarest plant in Africa in one of the oldest National Parks. Protected areas are the single most important tool in the conservation arsenal for conserving global biodiversity – by far. Edward Wilson, the sage of biodiversity, is pinning his hopes on an enlarged network of protected areas for avoiding the sixth great extinction event on Earth. Yet the same protected areas are disappearing in front of our eyes with hardly anyone, it would seem, even noticing. Degraded parks are not a new phenomenon in Africa but the scale of degradation is increasing rapidly due to rising pressure on land. 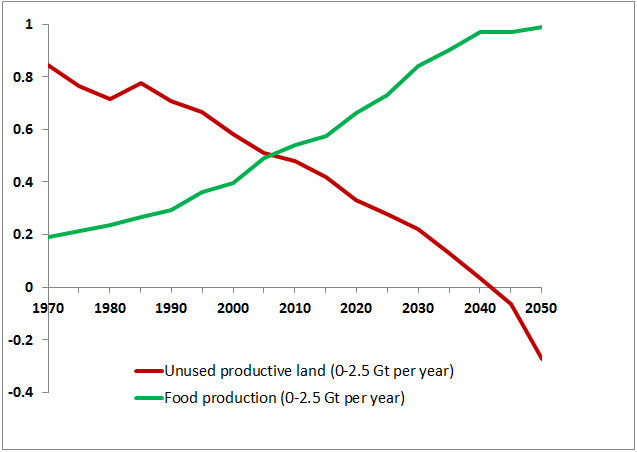 In his follow-up to The Limits to Growth, Jorgen Randers predicts that by 2035, the only available bio-capacity in Africa, that could be used for additional farms, will be within the parks. The rest will be occupied and the pressure on land will be rising faster than ever. In other words, there will be no room for many, perhaps most African parks in twenty years’ time unless they are valued equivalently to agricultural land by the majority populations. 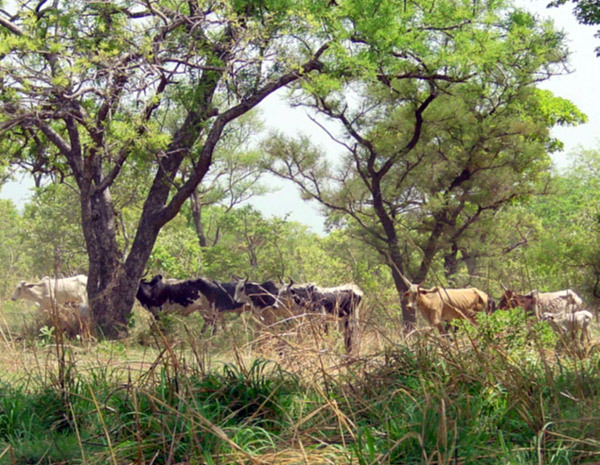 Farms cover much of the diverse and beautiful Abijatta-Shalla Lakes National Park, Ethiopia. Recognize well-managed sites and encourage transfer of good practice between sites. The management assessments are comprehensive but require a substantial input of park-staff time and training (M. Goncalves de Lima and Carlo Paolini pers. comm.) which has inhibited their application across large regions. On the other hand, much less work is required to assess just the biodiversity status of parks – all that is required to establish a Parks Red List. 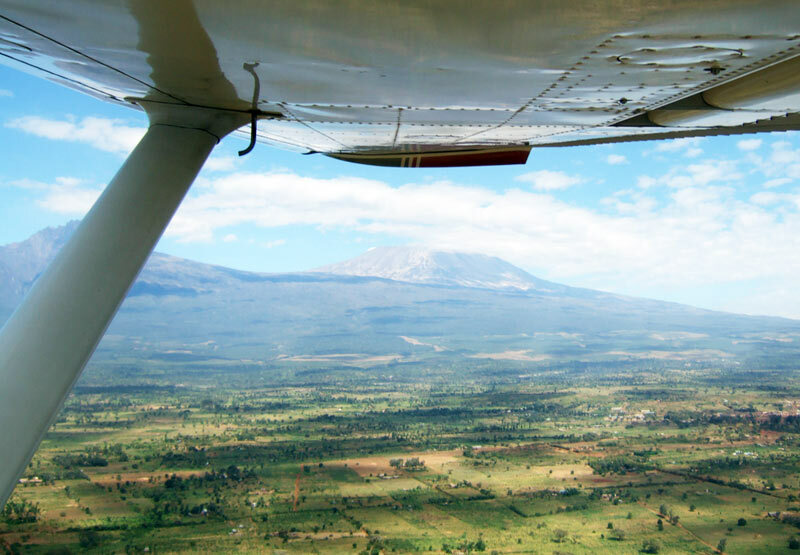 Remote sensing provides information on land changes, such as integrity of habitats, infrastructure (roads, dams, clearings and buildings), deforestation, spread of farmland, lake turbidity and fire frequency. 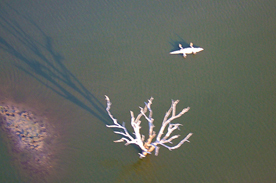 Rapid field assessments can log additional information on presence of livestock, poaching, overharvesting,and reduced oxygen levels in lakes. 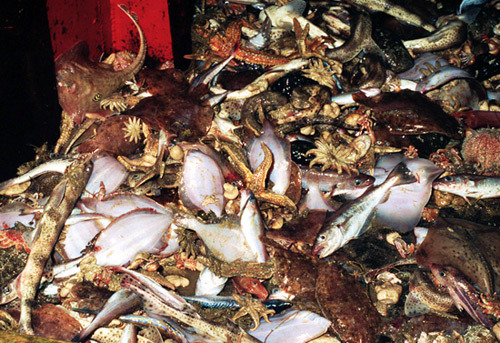 The crude abundance of key indicator species can also be estimated quickly. Using this light approach, a Park Red List could be implemented across Africa in less than a year. Technically it would not be hard to establish a Parks Red List but resistance to the idea is coming from a surprising quarter — from within the international conservation community itself. IUCN has instead opted for the idea of a Green List. Applying the “Green List Protected Area Standard” is an even more complicated process than the assessment of Protected Area Mangement Effectiveness. It has merit. It makes its own contribution to conservation, especially where a failing park can be put onto an “improvement path”, but at the end of the day it is a bit like substituting a Species Green List for the current Red List. We could not rely on Green-Listed species to safeguard those that are critically endangered. It just wouldn’t do the job. Similarly, the Green List of Protected Areas will not do the job of alerting the international community to the state of park degradation. On closer enquiry it turns out that the real problem stopping the adoption of a Parks Red List is the fear of the resentment of countries who do not like to see their parks given a red assignment. There is some justification for this fear. 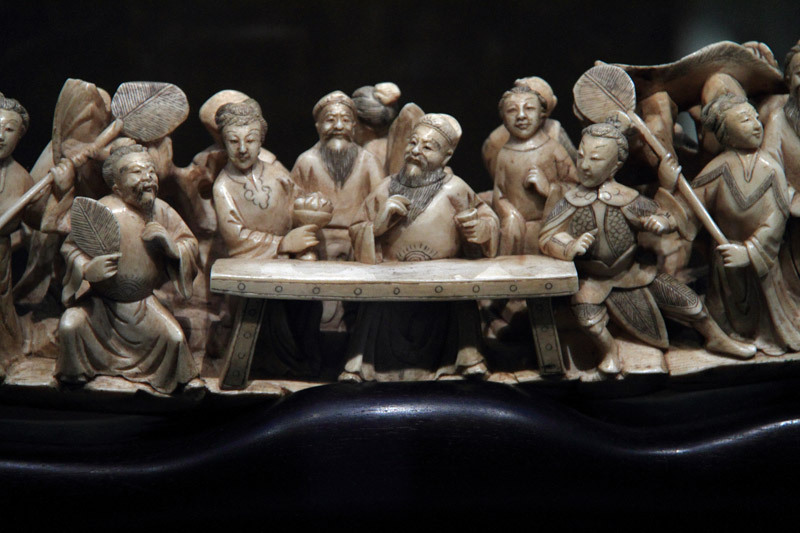 A few parties (countries) to the World Heritage Convention have contested fiercely management measures required by the World Heritage Committee to maintain the listing of their World Heritage Sites. So, yes, it will be a difficult and demanding job to assign negative outcomes of park assessments and then negotiate suitable recovery programmes with national authorities. It will need to be handled sensitively and with financial support for poorer countries. However, it is a vital task. If we wish the conservation community to monitor the status of parks and reserves around the world, and safeguard global biodiversity, then we have to do it. We have an ongoing protected areas crisis in Africa, and surely elsewhere in the world, that has been slipping past unnoticed. It will get worse rapidly if we don’t instigate a Parks Red List. I will say it one more time: parks (call them protected areas if you wish) are the single most important means of conserving global biodiversity. We have to look after them or fail as conservationists. That means we have to monitor their health. We would be horrified if the global community retreated from its task of monitoring the spread of Ebola virus, Zika virus or avian flu because of the sensitivities of a few senior politicians in a small number of countries. We must not let our own sensitivies to being criticsed over the monitoring of park degradation blunt our resolve to protect global biodiversity. We need a Parks Red List. Please pass on to others concerned about our parks. Bini cooked the greatest bush breakfast. 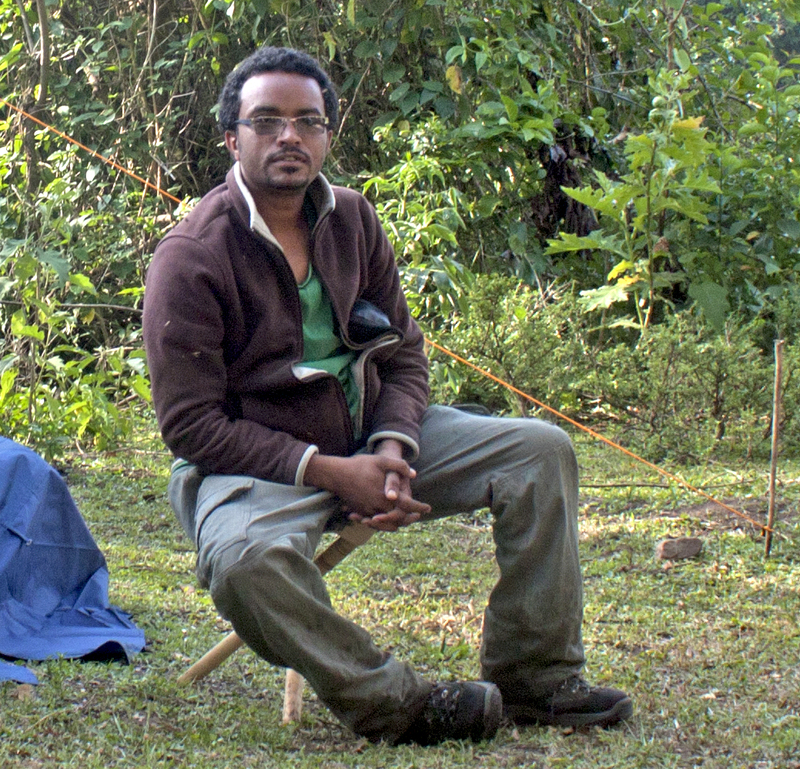 We would be camping in some remote Ethiopian park and I would wake to the smell of coffee being brewed. It soon got me out of my sleeping bag to greet the morning. As I looked around the camp, Bini would be busy around the campfire. Seemingly out of nothing, a breakfast fit for royalty appeared – fresh papaya, omelette with sliced chillies and tomatoes, toast and wild honey. Soon we were back on the road. We loved our game of finding creative names for nature tours 500 Bird Circuit, ‘River Runs Through It’ Forest Boat Trip, Mountain of Dragons (you could see their menacing outline from the right vantage point) but we never forgot the more serious business of our road trip – putting together a practical plan for recovering Ethiopia’s beautiful national parks, based on their potential to support ecotourism and the help and participation of local people and resources. 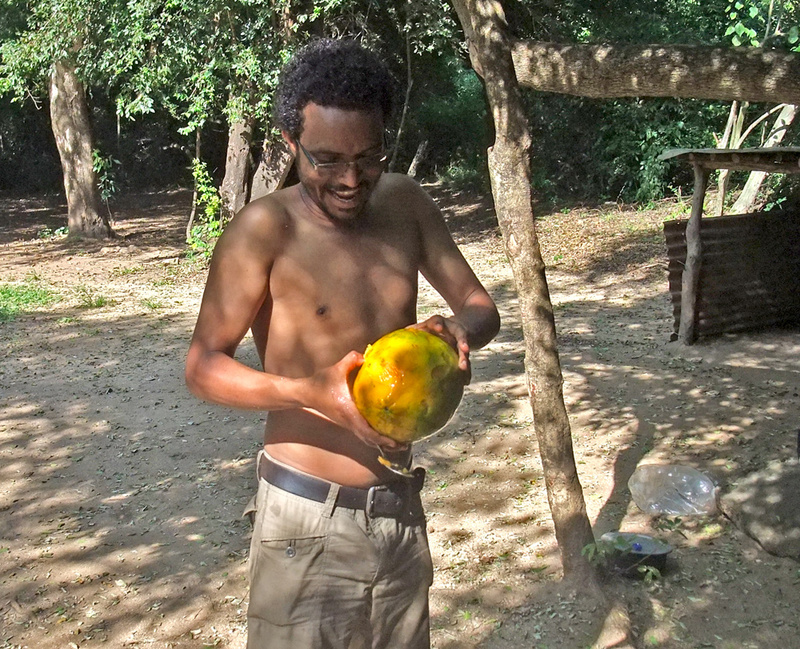 Bini was interested to the point of obsession about nature (which made two of us) and he was always positive. Hell, I miss him. Bini had a great mind. He saw complex issues to do with people, their work and environment with perfect clarity. He recalled technical information with immediacy, and read extensively. This meant he could explain complex issues well to anyone – simply, precisely and with conviction. So he was gifted with a wonderful mind and when he talked, people were held. They sensed immediately that here was someone saying something important and authentic. They listened intently. So he had this ability to communicate but what made Bini even more special was that he also had a great heart. Bini was the most selfless and most caring guy I knew. Always wanting to check that everything was ok – food, seat, sleeping mat, or the things we were doing. How is that backpack? Is this log comfortable for sitting on? He was tireless in seeing to other peoples’ needs. People just liked him. They enjoyed his company and sought him out. 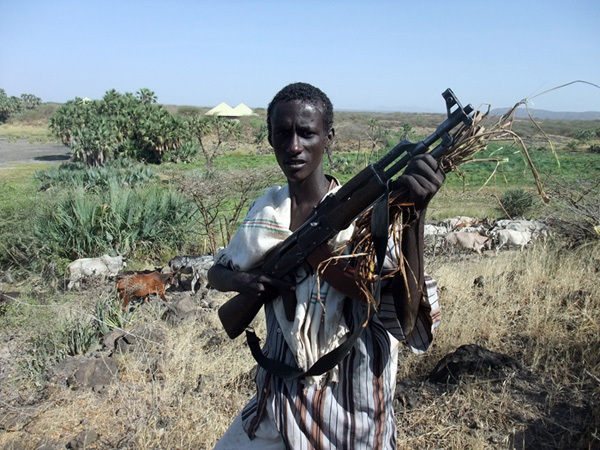 Bini moved seamlessly amongst the many strata of Ethiopia. It was extraordinary to see. And then he got down to hard work. Bini was on a mission in life. He had so many beautiful dreams for his family, his Bale mountain home, his wonderful rich country with its talented quixotic peoples, and for his future. He wanted to run his own nature tourism business. It would have been the best in Africa. He wanted to make Ethiopian parks and reserves the best in the world. He could have done it. He wanted to write all kinds of guidebooks – he had already begun them. He wanted to have links across the world for all these things. I miss those dreams. I only knew Bini for a short time. 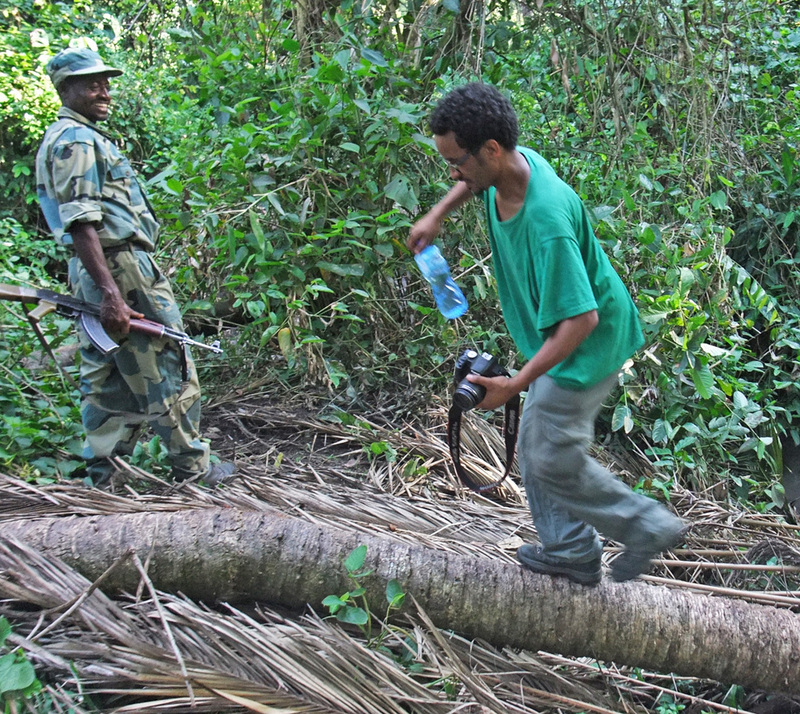 We worked together in the city, on the road and in Ethiopia’s beautiful national parks. For all the differences – our countries, age (Bini in his early 30s and I in my 60s), experiences and backgrounds – we were just two guys with parallel dreams who enjoyed hanging out. Bini had lots of friends. And in that short time together, he became my friend. I cherish that friendship and honour his memory. I hope I can keep just a little bit of Bini’s selfless sparkle alive inside of me. Biniyam Admassu journeyed on alone on 10 March 2015. He was fighting a wild fire in his beloved Bale Mountains but was hit by flames due to a sudden wind change. My heartfelt condolences to his family, the park staff and conservation team in Bale, and to all who knew him. 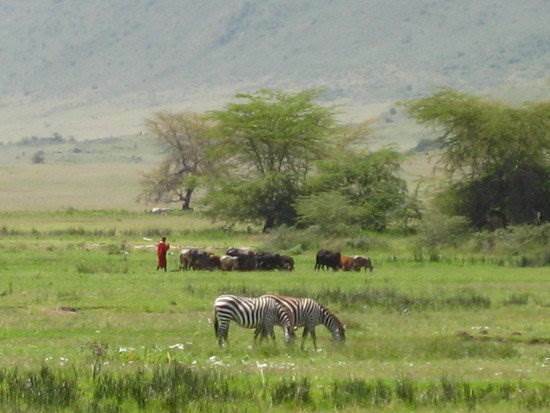 Ngorongoro Conservation Area with cattle and zebra. The management of mixed-use landscapes requires patience, skill, enterprise, investment and above all development of a shared vision that incorporates the aspirations of all parties. With pressure building for African land, coupled with parks that lack legitimacy in the eyes of local people, declining government investment in their management, booming prices for wildlife products, poaching and the never-ending tales of bribery and corruption (sister blog), what hope for the future of African wildlife? Much will depend on the success of a new approach – the conservation of large landscapes incorporating multiple parks and reserves and sizeable populations of rural people. 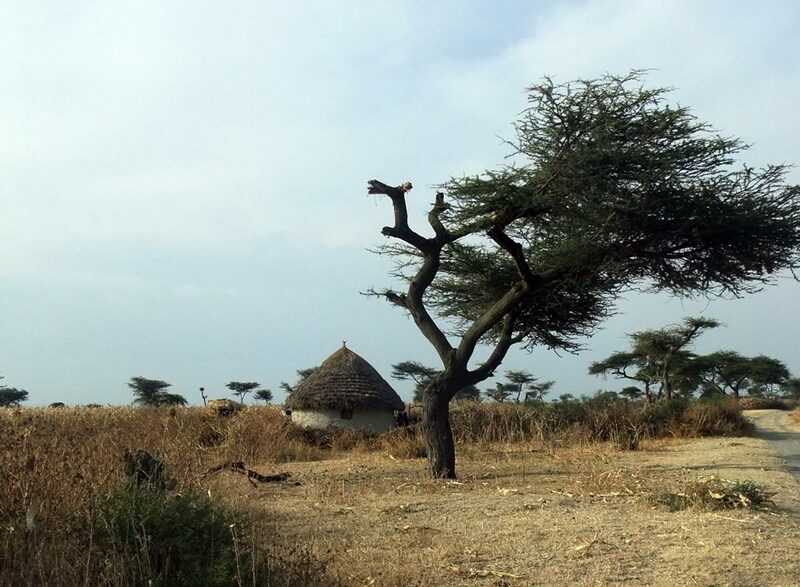 Before taking a closer look at some of the ‘conservation landscapes’, it is worth pausing to recall the origins of this approach in Africa – surprisingly, it was born out of the search for peace. 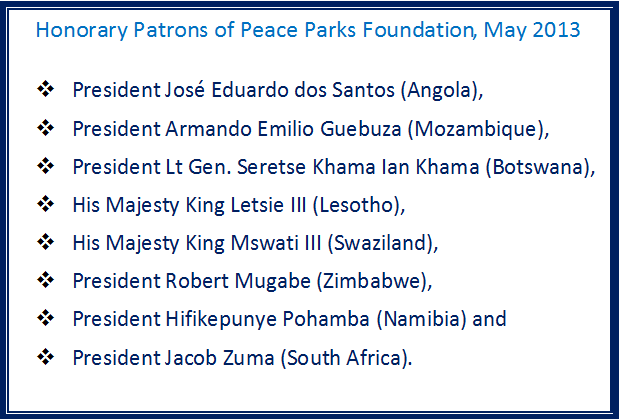 The Peace Parks dream kicked off in Africa in 1997 through the commitment of three visionaries: President Nelson Mandela, Prince Bernhard of the Netherlands and Dr Anton Rupert, a South African philanthropist. 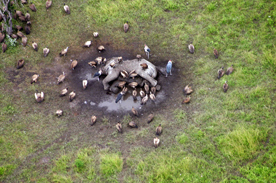 They envisaged the establishment of a network of protected areas that linked ecosystems across international borders. They sought to move beyond the idea of strictly protected national parks to a view of landscapes that supported both wildlife and multiple resource-use by local communities. They foresaw the day when people, long divided by historical frontiers, could freely join to set about managing and utilising natural resources throughout their traditional territories. At the same time, they anticipated wildlife populations that were free to roam over ancient migratory pathways that crossed vast terrains. 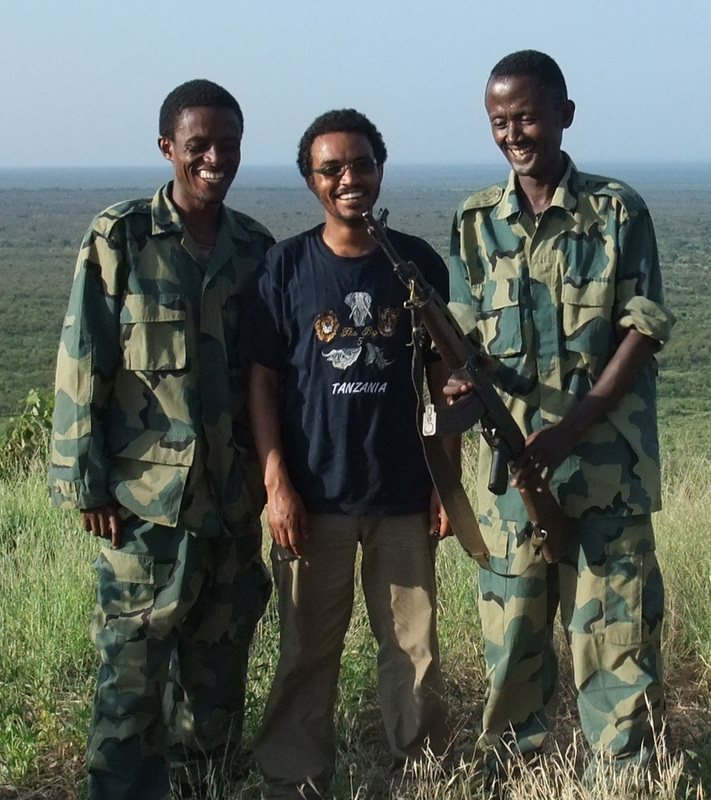 It was the birth of ‘transfrontier conservation’ and the new transfrontier parks would support whole ecosystems and pursue sustainable economic development within the context of regional peace and security. 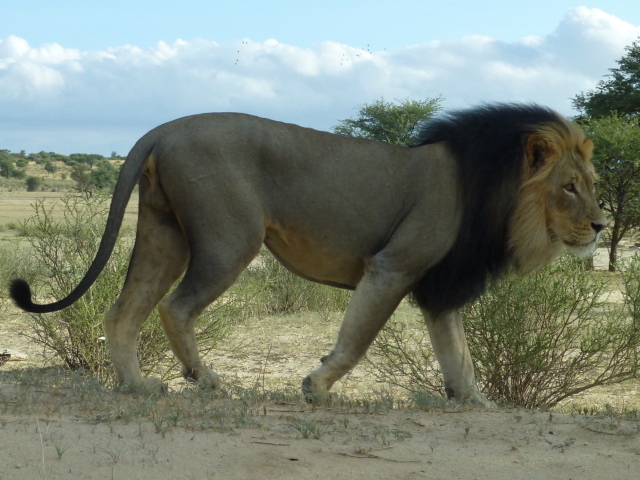 Black-maned lion in Kgalagadi Transfrontier Park. 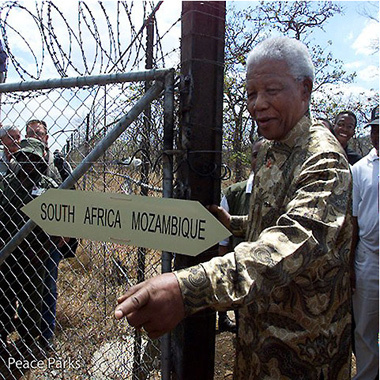 The first peace park was Kgalagadi Transfrontier Park which united South Africa and Botswana. 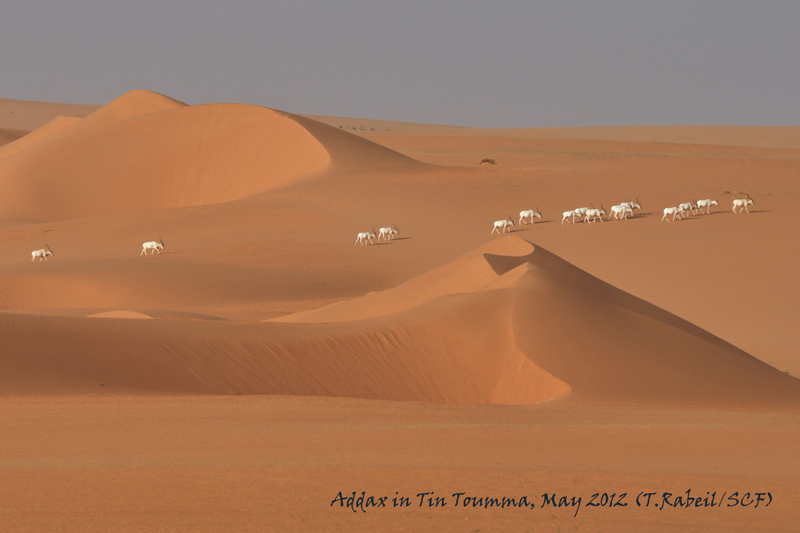 It is an area of Kalahari bush with sweeping parallel dunes, separated by dune-valleys and open pans. The park contains large herds of ungulates such as gemsbok, springbok, blue wildebeest, eland and red hartebeest and their predators – leopard, brown and spotted hyaena, lion and cheetah. In May 2002 the ‡Khomani Bushmen and Mier agricultural communities reached an historic land settlement with the government of South Africa which restored a large tract of land to communities that had once roamed in or farmed the area. 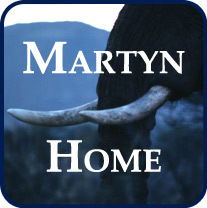 They opened a fully catered luxury lodge in 2007. It was a good beginning. Bucking the depressing trend for many other parks, the transfrontier conservation areas soon picked up the support of Presidents and Kings and the powerful South African Development Cooperation. The movement has grown from strength to strength and now encompasses some 18 areas across southern Africa with new proposals now reaching into Central and East Africa. Although the bright beginning has given cause for celebration, a serious obstacle remains to be overcome. The long-term future of these conservation landscapes depends entirely on the extent to which rural communities within them can benefit from wildlife-based land-uses. With a few striking exceptions, the record so far is poor. This leads to a serious challenge for conservationishsts, politicians, development agencies and local people alike. It will be necessary to reform national legislation in most countries so that communities within and around the conservation landscapes have legal access to natural resources (Vol 2 of the Strategy). Only when such rights are granted will there be the necessary long-term security for the development of sustainable resource use. If the new paradigm is to succeed and the new transfrontier parks are to prove sustainable, then this is the way forward. The largest of the 18 landscapes is the giant KAZA Transfrontier Conservation Area, which at 520,000 km2 is larger than Zimbabwe or Spain or California. It encompasses five countries (Angola, Botswana, Namibia, Zambia and Zimbabwe), thirty-eight protected areas, two million people and two hundred and fifty thousand elephants which live in the largest undivided population on the continent. 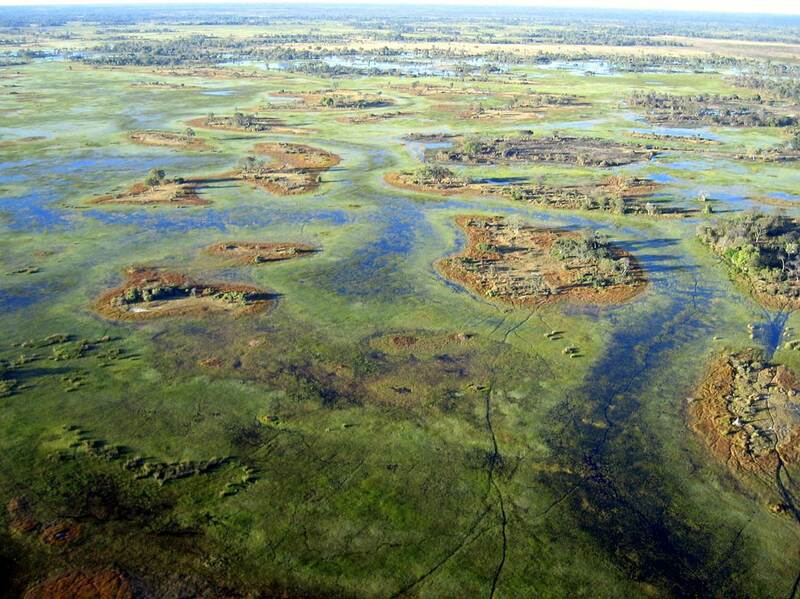 Part of the KAZA Transfrontier Conservation Area, the ethereal Okavango Delta is also a UNESCO World Heritage site. Game trails can be seen snaking between the islands. 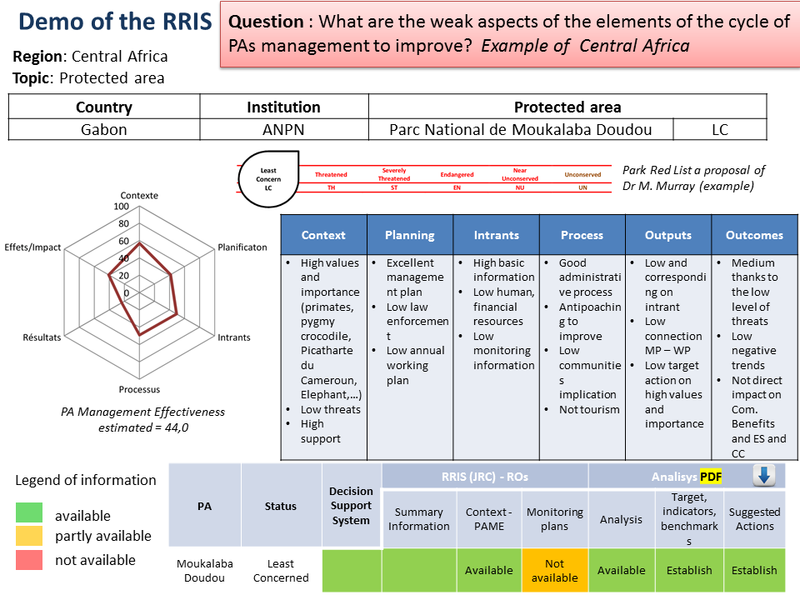 The team that developed the EU strategic approach for African wildlife in 2014/15 reasoned that the same landscape-based approach can be applied anywhere, even when the area is far from an international frontier. They called such areas Key Landscapes for Conservation, or KLCs for short, and started the job of mapping some of the more important ones. 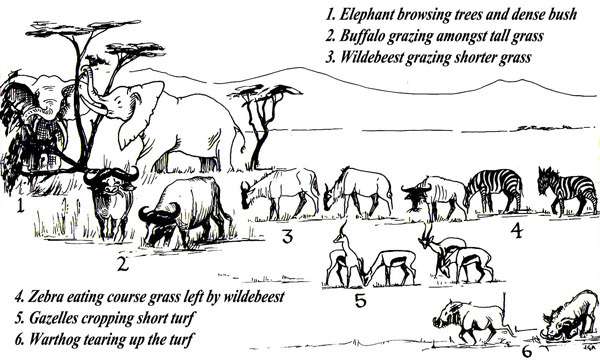 Four levels of management within a Key Landscape for Conservation. 1) Park managment, 2) Landscape management for livelihoods, 3) Landscape management for conservation, and 4) Overall KLC governance. 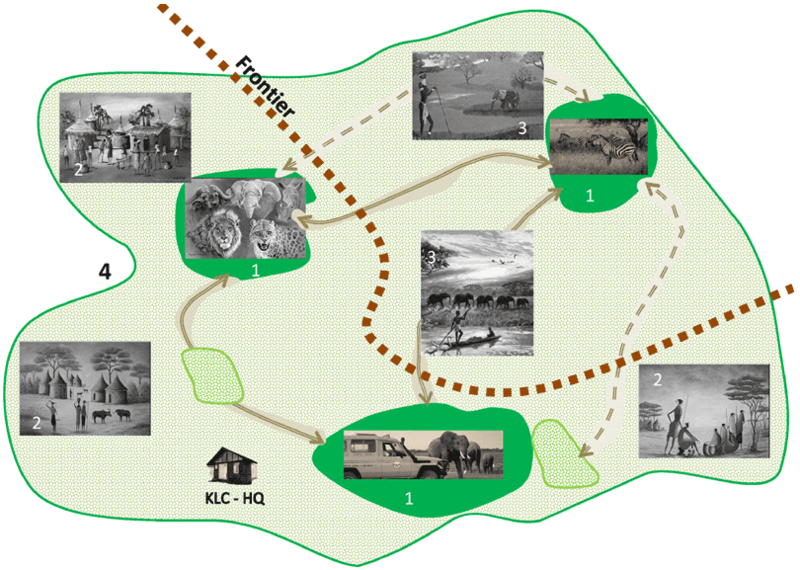 In some conservation heartlands there will be no frontier; if a frontier is present then the KLC is also a transfrontier conservation area. At this stage there are 70 proposed KLCs spanning the whole of sub-Saharan Africa. Key Landscapes for Conservation as suggested by the EU Strategy Team. KLCs arise from the concept of Transfrontier Conservation Areas but are not restricted to the frontier region. 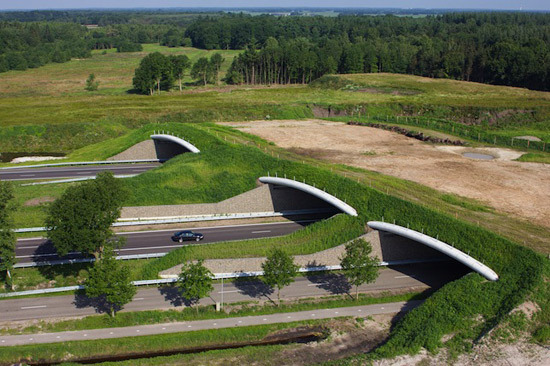 They form part of the new ‘landscape conservation’ paradigm. 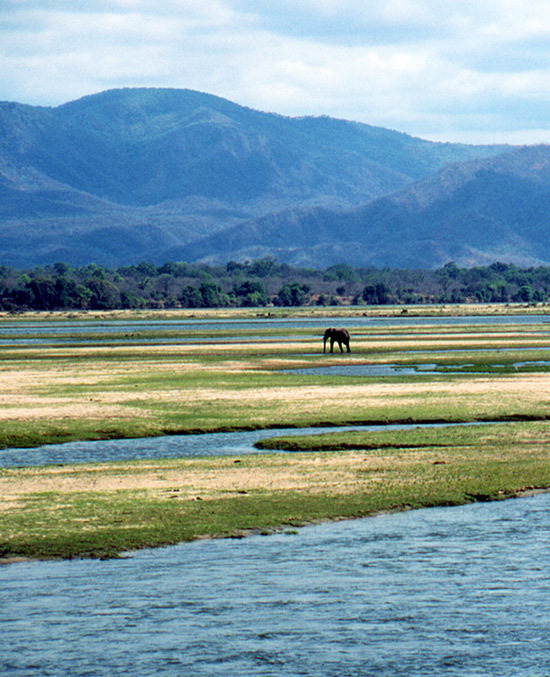 As a prime example of a proposed KLC, the Greater Virunga Transfrontier Conservation Area in Central Africa would comprise eleven protected areas in an area spanning parts of DR Congo, Rwanda and Uganda. It has a towering altitudinal range of 600 to 5,100 m and correspondingly high diversity of habitats – alpine to bamboo to swamp and lowland rainforest. It protects the world’s remaining eight hundred mountain gorillas, contains many of the Albertine Rift endemics and is considered one of the most species-rich regions on Earth. Another example from Central Africa is the proposed Greater TRIDOM-TNS Transfrontier Conervation Area which covers a very large area of essentially contiguous moist forest spanning the borders of three countries (Cameroon, Gabon and Congo). It contains a majority of Central Africa’s forest elephants, lowland gorillas and chimpanzees as well as a substantial proportion of the Congo basin flora. An outstanding example from West Africa is the WAPOK Savanna KLC which lies near to the frontiers of Burkina Faso, Benin, Niger and Togo. 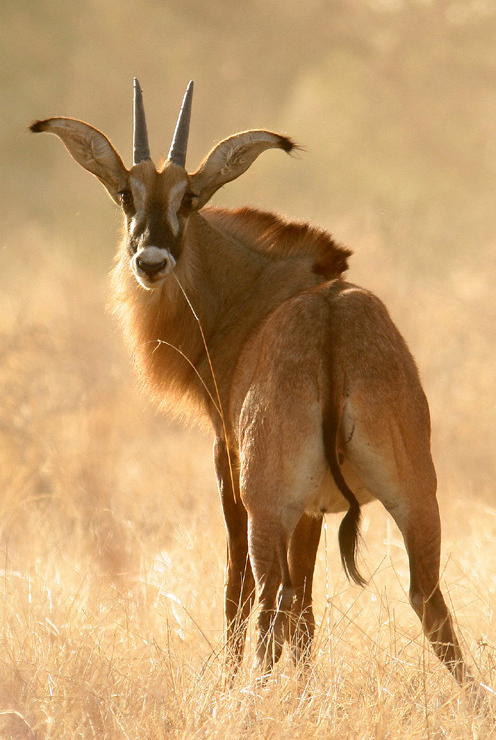 It protects viable populations of lion, cheetah, elephant, giraffe, leopard, manatee, roan antelope, buffalo, and Defassa waterbuck in the last functional savanna ecological complex in West Africa. 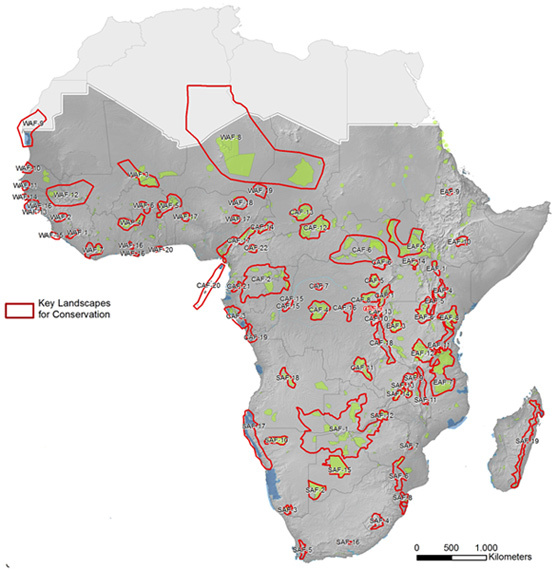 Another example is the vast Niger-Chad-Algeria Desert KLC which will seek to protect the highly threatened desert species such as scimitar oryx, Saharan cheetah, dama gazelle and addax. 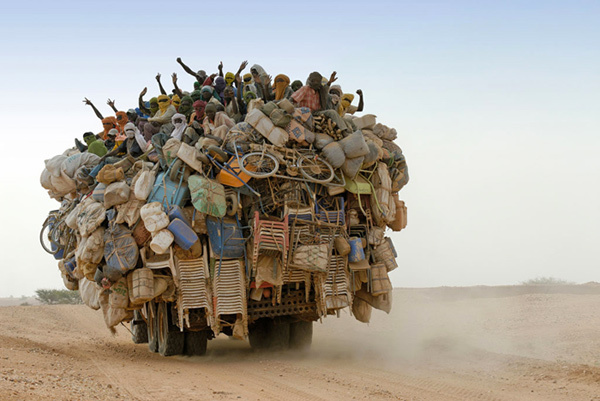 A third is the Senegal-Mauritania Atlantic Coastal KLC which contains the most import wetlands in West Africa consisting of lagoons, saline flats, alluvial plains, an interconnecting network of rivers lakes and ponds, mangroves and dunes. They are vital for the annual bird migrations to and from Europe and Asia and are used by over two million wintering Western Palaearctic waders. 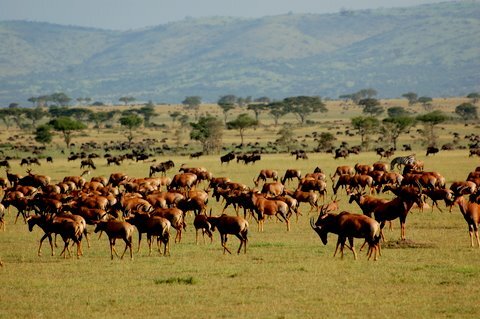 In Eastern Africa, the proposed KLCs include the iconic Mara-Serengeti-Ngorongoro Transfrontier Conservation Area encompassing seven protected areas including three World Heritage sites and famous for its migrations of wildebeest, zebra and Thomson’s gazelle, its high numbers of predators and the 50-year record of painstaking scientific studies. 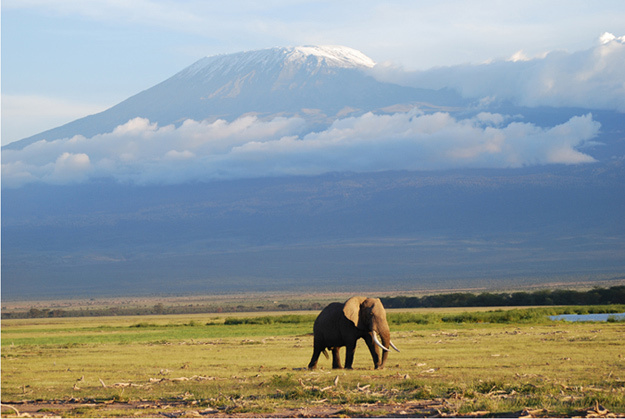 The Greater Kilimanjaro transfrontier conservation area between the same countries has eight protected areas, including one World Heritage site, and is equally iconic for its combinations of wildlife-filled plains and snow-capped mountain (photo of Mt Kilimanjaro in sister blog). 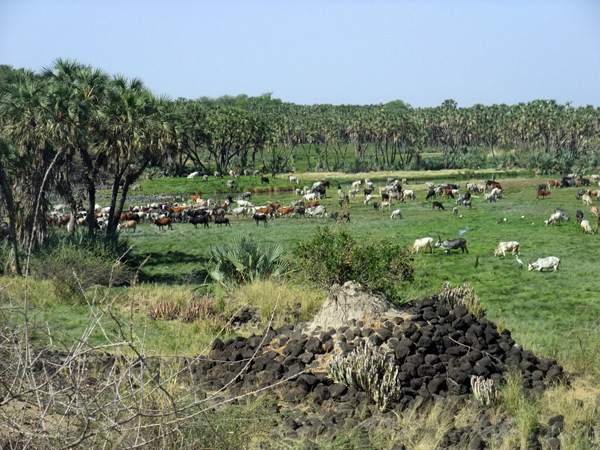 Less well known but as impressive in scale is the Sudd-Badingilu-Boma-Gambella ecosystem, where migratory herds circulate between South Sudan and Ethiopia. The most recent estimates obtained in 2009 for the migratory species are 1.67 million white-eared kob, 340,000 gazelle and 125,000 tiang, the Sudanese long-legged form of topi. It is early days yet but we can say with confidence that the Peace Parks conception has been thriving since its propitious African birth some fifteen years ago, and is now giving lusty teenage voice to a landscape-based approach to conservation. 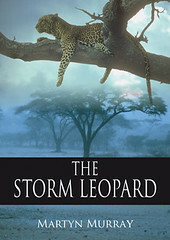 It is the last best hope for the future of wild African ecosystems. I have been fortunate to live in some of Africa’s conservation landscapes for years at a time. They are a treasure beyond price. They are a heritage beyond value for all Africans, and for all humankind who feel that unique bond with the continent of their forefathers and mothers. May they bring prosperity to their nations and in so-doing live long and adventurous lives. As we gaze into the future, the further forward we look, the more unpredictable it becomes. Despite our skills in satellite imagery, science-networking and super-computer processing which give us unsurpassed details about our planet and its resources and notwithstanding our understanding of people and their social behaviour which – with kinship and game theories adding additional insights – has never been greater, our gaze fails to penetrate the veil of uncertainty. Whether experts are forecasting the weather, the economy, an election outcome or the future of society on planet Earth, their vision extends only so far. We see through a glass, darkly. These days it’s called a prediction horizon as explained by physicist David Deutsch. 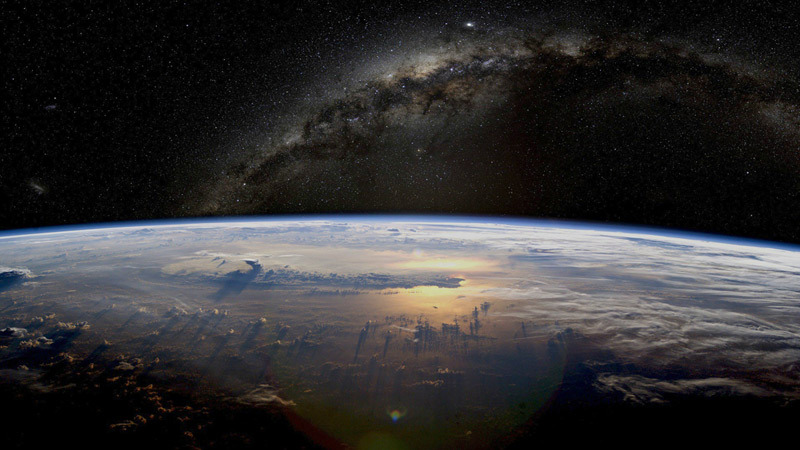 Based on an image of Earth taken from the International Space Station (21 July 2003, NASA Photo ID ISS007-E-10807) and a fish-eye mosaic of the Milky Way (Bruno Gilli/European Southern Observatory), this composite image by imgur.com. If we transported a group of futurologists back before the agricultural revolution – let’s say we take them back 20,000 years – and then supply the surprised scientists with a few basic statistics about the prevailing human population and the pattern of climate change, I expect they could predict the shape of society some 500 years or even 1000 years into the future with considerable accuracy. We could not do the same today. I don’t think we have any idea what our society will look like in 300 years’ time. There is considerable uncertainty over what society will look like in 100 years’ time. The distance to the prediction horizon for human-related phenomena is not expanding. We have entered a new phase in our history in which unpredictability is increasing, apparently accelerating, and the prediction horizon is contracting in concert. One of the factors at work is a breakdown in modularity as nations and city-states lose their autonomous character. In their place a single complex global system is emerging. Mathematicians consider modular systems to be more stable: they prevent cascades and dampen down runaway behaviours. Ergo, our planet is becoming less stable. What cliff edge might we, as an increasingly homogenous global society, be rushing towards? There are many possibles. Will our natural resources hold out? Will the moderate climate that we have enjoyed since the last Ice Age hang together? How will society behave as our lives online eclipse our lives offline? As machine intelligence continues to rise exponentially, when will it close with the so-called intelligence-singularity – the point at which interconnected machine intelligence becomes more capable of managing the Planet and taking big and small political decisions, than us? Even if we discount the sci-fi version in which self-aware machine intelligence emerges, we still end up in an entirely different kind of world. Religious fundamentalism is on the rise. Weapons of mass destruction could proliferate and become controlled by extremist groups. The human population is going through one last doubling and its impact on the planet is amplified by per-capita wealth which also keeps doubling. 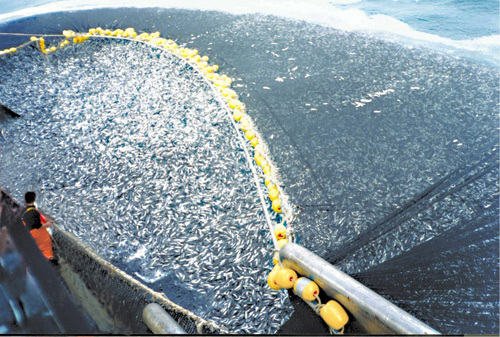 Global fishery yields have declined. 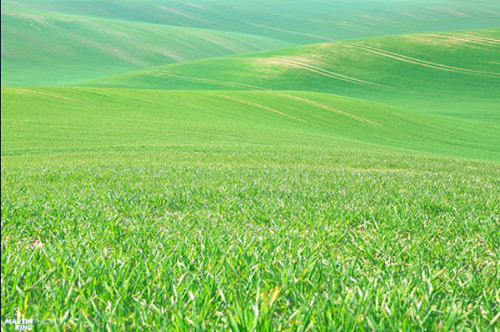 Soils are being lost in mountain regions faster than they regenerate. 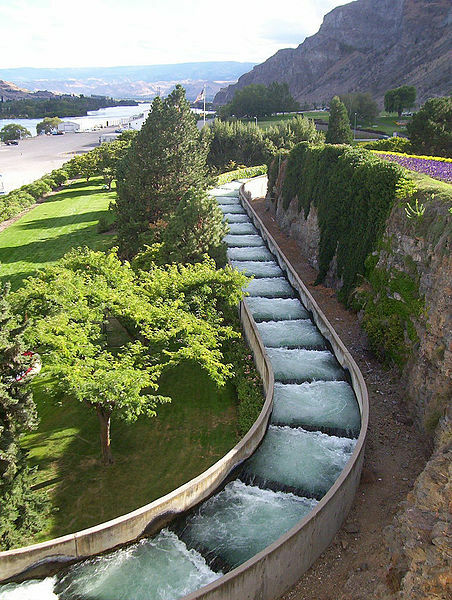 Ancient aquifers are drying. Earth’s ability to absorb global pollution is being pushed to the limit. 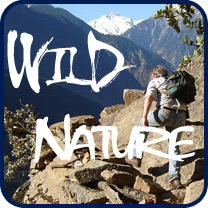 Hardest hit of all is nature and wild life. Unfortunately none of this is science fiction. The global trends predicted are based on well-crafted models such as that described by Jørgen Randers, one of the authors of Limits to Growth. The reported impacts are verifiable. For instance, a long-running study that determines global changes in biodiversity, the Living Planet Index, measures the annual change in population size of more than ten thousand species of vertebrate; then takes the average across all species. The 2014 index shows a decrease of 52% between 1970 and 2010 at the global scale. 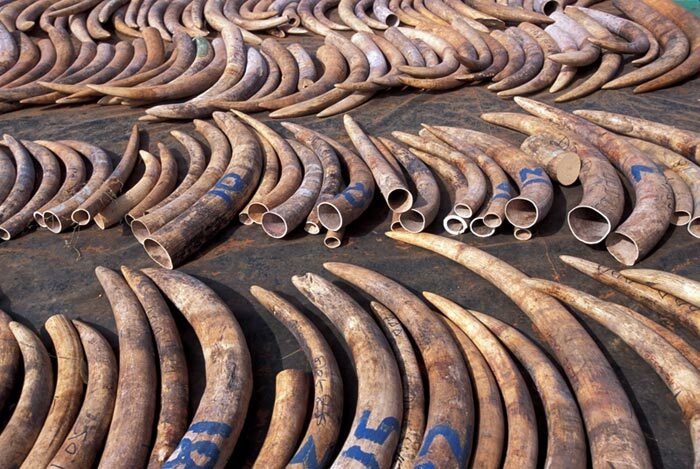 In other words, over a period of 40 years, more than one half of Earth’s wildlife populations have been lost. 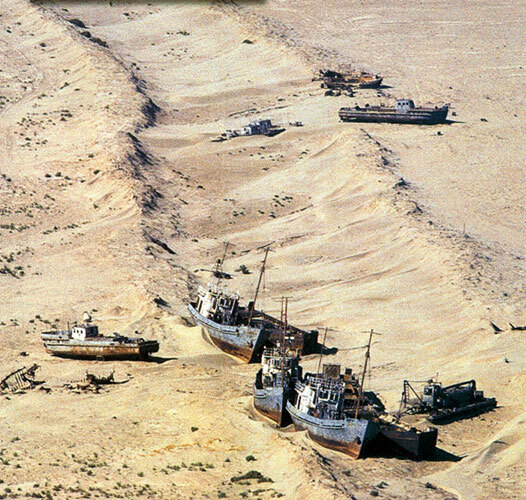 Following diversion of rivers feeding the Aral Sea to irrigate desert areas, the lake began shrinking. From 1960 to 1998 the surface area shrank by about 60%. 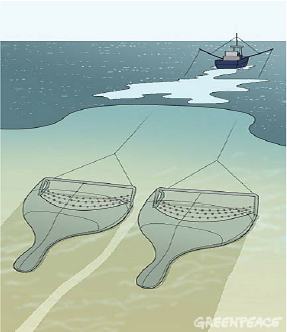 By 2007, the sea was 10% of its original size. Even so, not all agree about the shadow on the horizon. 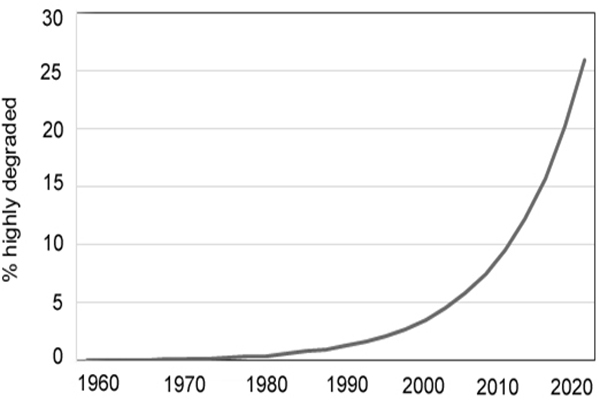 From what I have gleaned, there are at least three schools of environmental futurology: some, like the rational optimists, think we will invent our way out of trouble without having to change our behaviour; others believe that a population (Malthusian) catastrophe is inevitable; yet others heed the warning of environmental meltdown in our history. They hope we can turn back from the brink by carefully husbanding resources, attending to pollution, reforming our economic systems, and applying lots of diplomacy. The ‘hopefuls’ have studied how to reform institutions for greater sustainability, how to develop green economies, how to increase energy efficiency and how to restore ecosystems. More people than ever before have linked across the planet to engage directly with environmental issues. Western society is beginning to question whether GDP brings real life satisfaction. 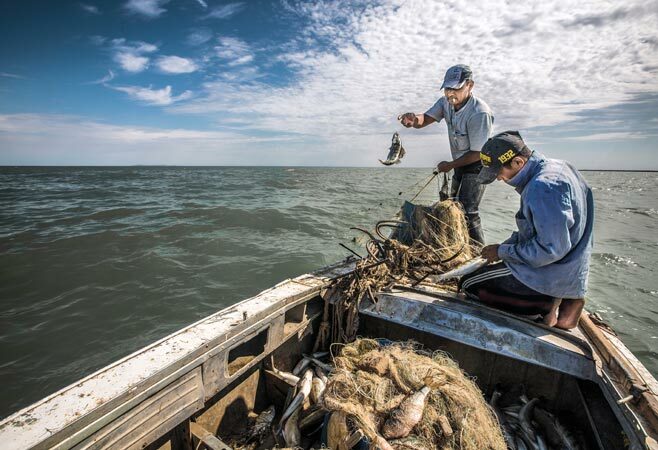 Following construction of a 13 km dyke that prevented water from the river Syr Darya flowing south and evaporating, more than two dozen fish species fanned out from the delta as reeds spread in the shallow parts, providing spawning grounds and attracting millions of birds. 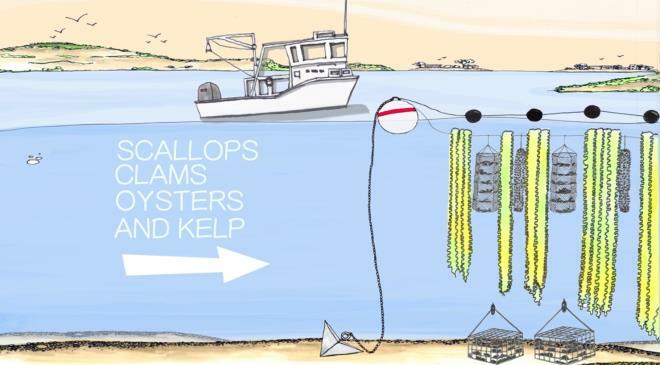 Some fishermen returned to their former livelihoods. Transformations can be sudden and unexpected. In ecology, an ecosystem can flip from one stable state, such as old growth forest, to another such as acid bog, dense scrub or desert, almost overnight. That is why ecologists find it easy to understand how a society or civilization can grow and prosper for centuries only to vanish suddenly in the sands. Curiosity about such abrupt events led René Thom to develop catastrophe theory as an explanation of how they may unfold. 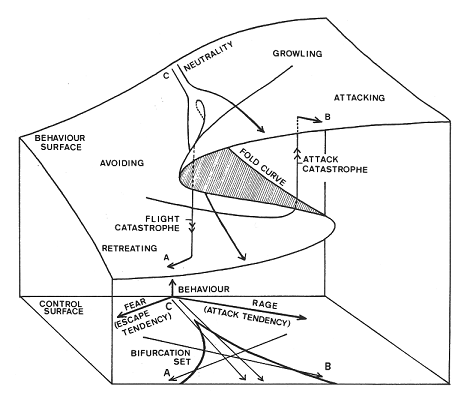 Here illustrating the ‘flight or fight’ response of a threatened dog. Source: EC Zeeman‘s April 1976 article Catastrophe Theory in Scientific American. There are plenty of signs to suggest that we are heading towards one of Thom’s dreaded birfurcations, some global transformation that we can neither predict exactly nor avoid: it lies just over the horizon. It this all sounds too alarming, take comfort from another philosophic observation. Even if we are unable to see the future, we are not helpless. According to David Deutsch we can influence our future by making general provisions of a sensible kind. Are we that sensible? One encouraging sign is the hint of revolution in the air. People are becoming very annoyed with the mismanagement of the planet and the micromanagement of their lives. There is more than a small stirring of unease at the failure of politicians to take on the corporations and financial giants. There is profound shock at the unfolding catalogue of afflictions visited on the poor, and our apparent inability to do anything about it. Chaos theory teaches us that seemingly unpredictable events can be sensitive to starting conditions and even very small perturbations can have a major influence on what eventually unfolds. This is the butterfly effect – where the flapping of the butterfly’s wings at the right time and place became the starting condition for development of a hurricane that caused havoc in a far-off place. Perhaps our storm-birthing butterfly was a ‘blue morpho’, the large tropical lepidopteran that so impressed the Victorian naturalist, Henry Walter Bates, as it flew through the forest with its blue wings flickering in the sunlight. Imagine a dark fringing forest set against tropical seas with the sun just rising above a great expanse of ocean, and touching the butterfly now resting with wings folded on its nocturnal perch. It lifts off beating its iridescent wings to go searching for fermenting fruit. The stirring of tiny air currents, jostles others, and the tiny vortex expands as it rises slowly. And so the swirling heart of a great storm begins to form. 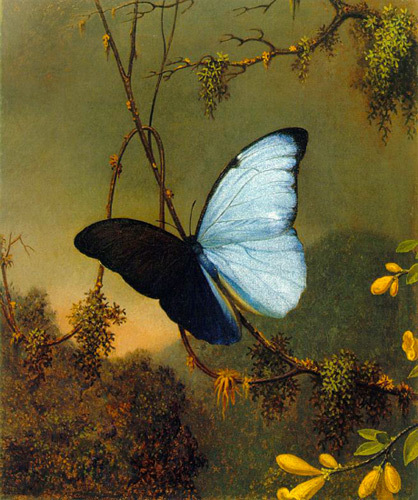 Blue Morpho Butterfly by Martin Johnson Heade, 1864. Such beauties inhabit the forests of Central and South America. We are a bit like that butterfly, I feel. All around us, great atmospheric events are building with their climax hidden beyond the horizon. We seem feeble by comparison with such massive concerns. Still, we can flap our wings. Amongst all the wrongs worth causing a stir about, our environment is the one likely to cause the greatest mess. 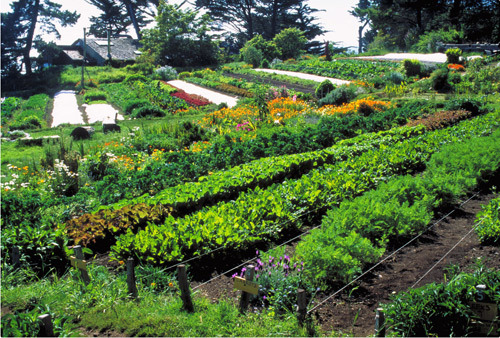 What is badly missing is an environmental ethic to guide our relationship with the living world, one which effects new policies for sustainable harvesting, generates a light ecological footprint tied to a high standard of living, and grants respect for all life. It doesn’t seem so much to ask but it crosses swords with two economic giants – the ungreen, free-market operations much beloved by the powerful world of business, and policies that increase gross domestic product (GDP) much beloved by politicians. The question is: are we trapped in a contracting prediction horizon or are we the butterfly that beat its wings?